Standards Plus is a fully interactive digital version of the NHBC Standards that includes a range of supplementary technical information and interactive elements. Standards Plus is freely available to all - no login details required. Use quick-launch Standards Plus to browse or use the table below to select the part of the house-building process you're interested in. There are separate Standards for conversions and renovation projects. What's new in Standards 2018? Here is an overview of the main changes, please take time to familiarise yourself with the updated technical content. Clause 5.4.4 has been amended to clarify the frequency of borehole monitoring. Clause 6.1.6c ‘Frost attack’ has been revised to improve clarity. Clause 7.2.24 ‘Spandrel panels’ has been introduced. A minor amendment has been made to the final bullet point of Clause 9.1.7 relating to the tolerance of tiles. 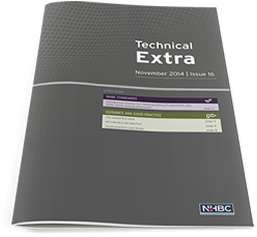 Technical Extra provides the latest advice and guidance on NHBC Standards and Building Regulations. 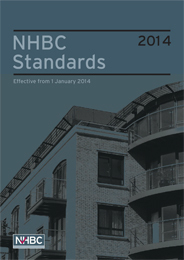 There are 150 Technical Guidance Documents, organised by NHBC Standards chapter, to help you interpret and apply NHBC Standards. NHBC Risk Guides cover particular parts of the construction process and are issued to our building inspectors who’ll use them as a basis for discussion with you. The Foundation Depth Calculator works out the correct foundation depths when building near trees to make sure you comply with Chapter 4.2. 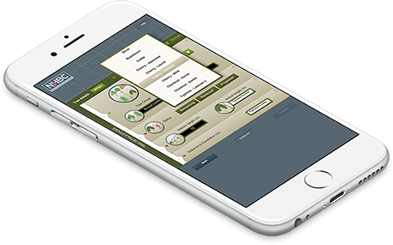 The 3D Viewer App enables you to use the 3D models that are new this year in NHBC Standards 2016.